Looking for some gift ideas for a busy mom who's working towards better health? I have some perfect Christmas gift ideas for a healthy mom. It's so easy as a busy wife and mother to put taking care of yourself at the bottom of your long to-do list. But this Christmas put something under the tree that will help you stay fit and healthy. These 10 Christmas gift ideas are perfect for busy moms who are looking for simple tools and ideas for creating a healthy life. There are tools to help with fitness, great resources for healthy cooking, and a few fun extras. Add some gift ideas for a healthy mom to your shopping list today! A FitBit is a fabulous choice for busy moms. From basic models to advanced, there are some fabulous options with FitBit. Best of all, there are so many people using these handy devices that you can form challenges with other FitBit users. Get one for each member of the family to work on your fitness goals together. T-Tapp is a great exercise option. It's easy enough for all fitness levels and doesn't require any special tools. The carefully sequenced exercises will get your heart rate up and give your muscles a workout too. I have quite a collection of these DVDs and really enjoy them all. For the busy mom who prefers to get out-and-about, a ClassPass gift might be a great option. It's a monthly fitness membership that gives you access to the variety of fitness classes in your area. This would be a great gift for someone living in an urban area with lots of fitness classes to choose from. Walking is my main activity of choice and I have an iPod on my Christmas list this year. The iPod Nano is a great option for fitness. You can still listen to your favorite music with iTunes, but it also includes Nike+ and a built-in pedometer. The Trim Healthy Mama plan is a very popular one that uses a few simple rules to help busy moms lose weight and get healthy. The second edition has been divided into two parts - the Trim Healthy Mama Plan and the companion cookbook. For the busy mom who loves to start her morning with a healthy smoothie, the Ninja blender is a perfect gift idea! I have one and it is the best blender I've ever owned. With the 6-blade design, it blends through ice like nobody's business - perfect for that morning smoothie! I've traded in my plastic water bottle for a glass bottle and next on my list are some mason jar glasses with lids & straws for my morning smoothies, iced teas & coffees. I've been using the regular mason jars, but I want to get a few with handles too. These would make a great gift! A vegetable spiralizer is a nifty tool that turns vegetables into noodles! I'm not the type to buy tons of kitchen gadgets, but I think this is a great tool. Instead of that serving of carb-y pasta, make your own noodles for a much healthier option. There are even some cool cookbooks for the spiralizer. Build A Menu is a great tool for busy moms. It's an online meal planning program that uses your favorite stores to create a meal plan. There are tons of menu options available - budget friendly, low carb, low fat, gluten free, and more. 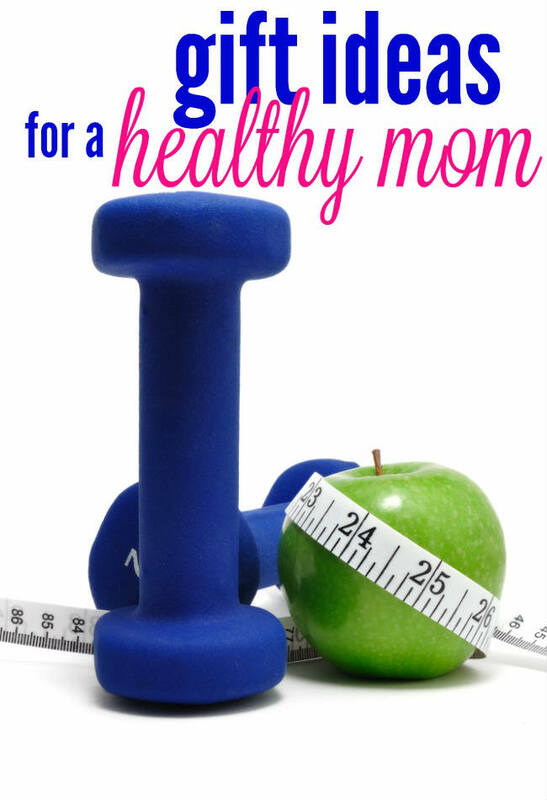 There's even an option for Trim Healthy Mama! Naturebox is a great choice for the mom who wants a surprise in the mail every month. You choose your own snacks and delivery options, making this a unique gift. There are snacks that are GMO-free, gluten-free, nut free - lots of options for different needs. All the snack choices are healthy options so snack without the guilt! Do you have any gift ideas & tips? These gift ideas would make any mom happy (some of them are on my Christmas wishlist this year). If there's a mom on your list who is working on making healthy choices, these would be some great gift ideas for her! Do you have some gift ideas for a healthy mom - or tips to share? Leave me a comment!